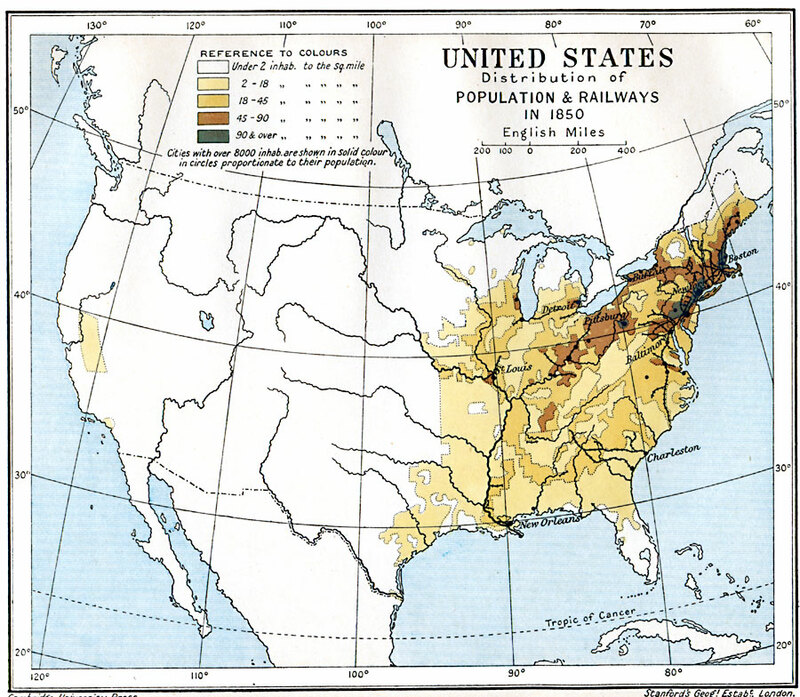 Description: A map from 1912 of the United States, subtitled "Distribution of Population and Railways in 1850." The map is color–coded to show population densities ranging from areas with fewer than 2 inhabitants per square mile to areas of 90 or more inhabitants per square mile. Cities with populations over 8,000 are shown with circles proportionate to their populations at the time.